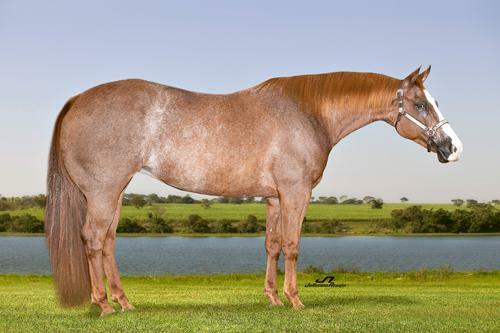 Seu pai SMOOTH AS A CAT, U$ 501.874,00, NCHA Horse of the Year; 3º.L NCHA Super Stakes Classic NP;,Um dos lideres das estatísticas de Apartaçao tendo seus filhos ganhos de mais de U$ 16 milhões, entre eles SMOOTH ASA ZEE, U$ 531.169,00, Campeåo MUNDIAL NCHA Non Pro; AROSESUCHACLATTER, U$ 322.987,00; LHR SMOOTH JAMIE MAY, U$ 251.430,00, NCHA Horse of the Year, SMOOTH TALKIN STYLE, U$ 274.793,00, Campeåo NCHA Open Super Stakes 2015, Campeåo Breeders Inv Open derby, Res Campeåo NCHA Open Futurity. - LOVES CAT (High Brow Cat) U$ 36.928,00. Campeã (empatada) Idaho CHA Open Derby; 3o.L South Point Winter Open Derby; Res Campeã Montana Sapphire Open Derby. - ENGAGING CAT (High Brow Cat) U$ 34.086,00. Res Campeã NCHA Senior Amateur Futurity; Campeã (empatada) NCHA Super Stakes Open Senior Rider; Campeã 2014 WCHA Shootout Team Challenge Open e Non-Pro. - LOVES ETCH (High Brow Cat) U$ 13.865,00. Finalista Bonanza Non-Pro Classic. - LUV HANDLES (High Brow CD) U$ 12.743,00. Res Campeã 2014 Kansas Open Derby; Finalista 2014 NCHA Amateur Super Stakes. LOVES CAT (High Brow Cat). Above. 2014 Augusta Amateur Futurity Co-Reserve Champion. Reserve Champion & top 15 in the Amateur Futurity. Show Amateur Cutting; finalist, Bonanza Non-Pro Classic.